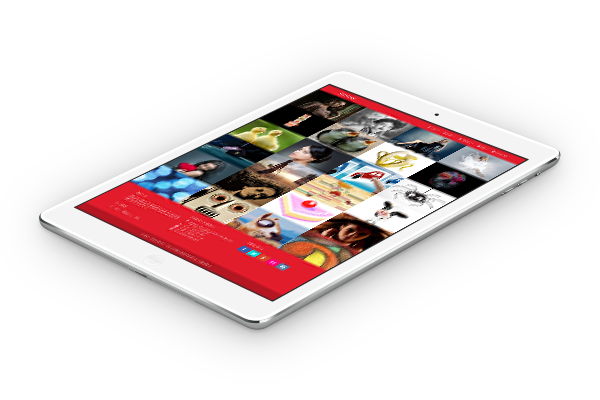 Responsive layout of Future WordPress theme adapts to the screen size of different device your visitors are using. 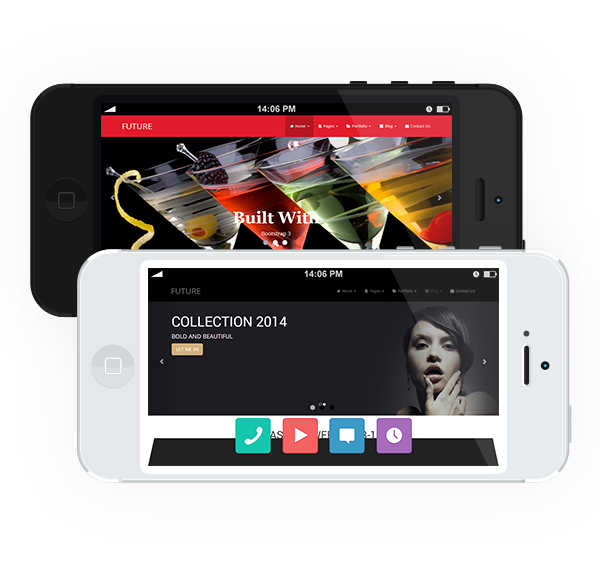 Your site will always look good and utilize 100% of screen estate on every device. 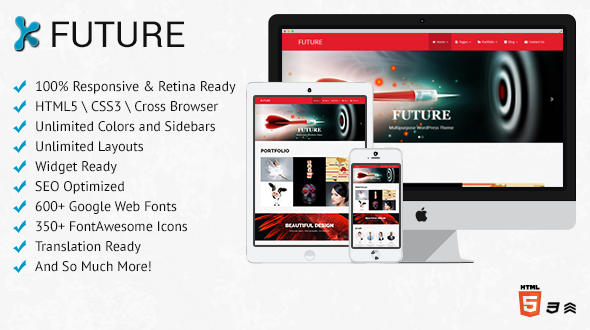 Future is Retina Ready and will look sharp on high resolution displays like the MacBook Pro Retina, iPad or iPhone. Future WordPress Theme is built with Twitter Bootstrap 3 framework. 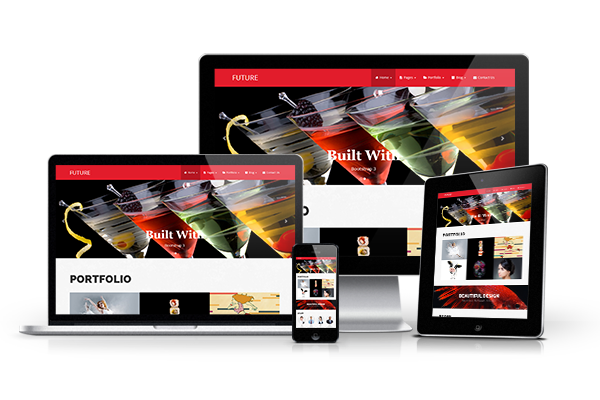 Future is a powerful theme to create portfolios. 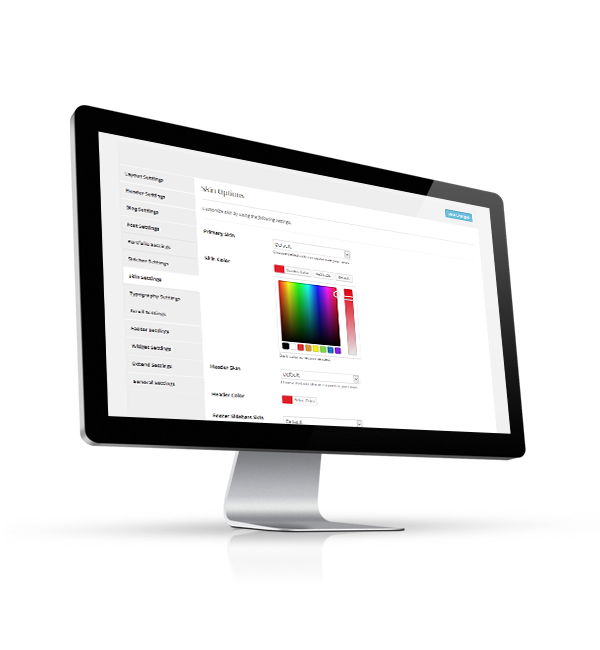 Loaded with plenty of options like custom portfolio categories, filterable portfolio items, custom number of portfolio items. 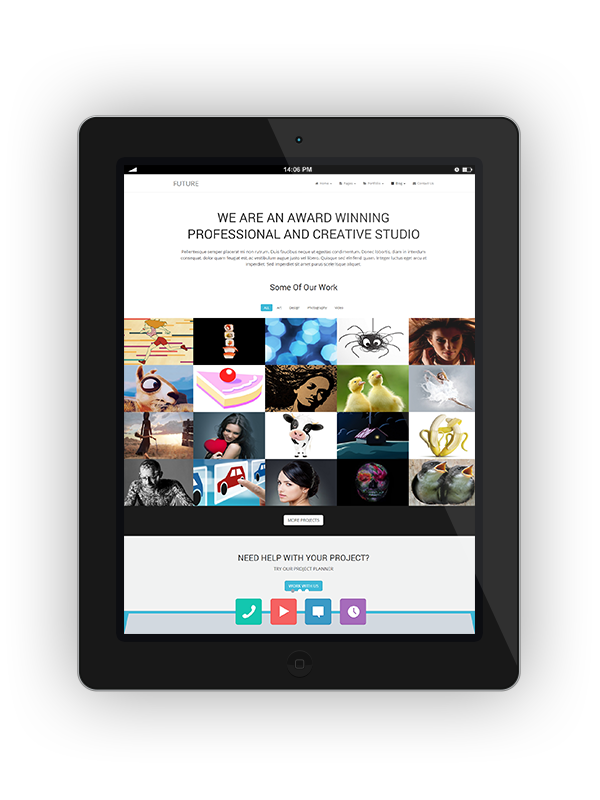 Future theme can prove itself a perfect tool for your portfolios. 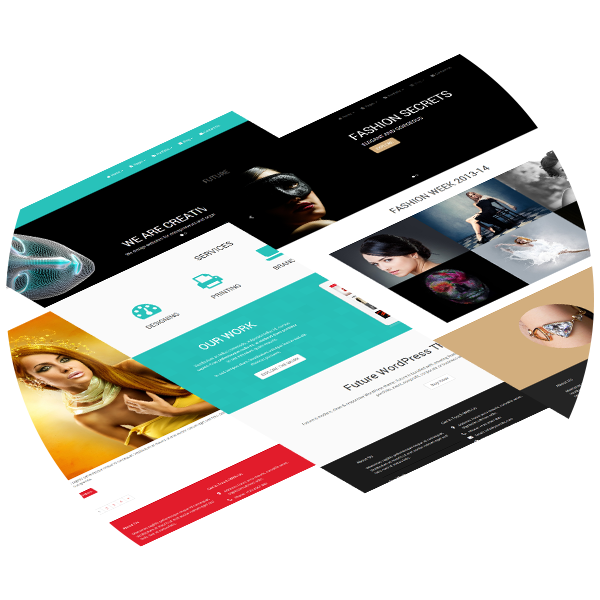 Future offers you to use Bootstrap Carousel, Flexslider and Nivoslider on your pages. Each slider has unique styles of their own. You have unlimited slides to add. Future comes with very intuitive, easy to use options panel, designed solely to give you control of the many built-in features. Options are not only in numbers but you can make real world use of them. 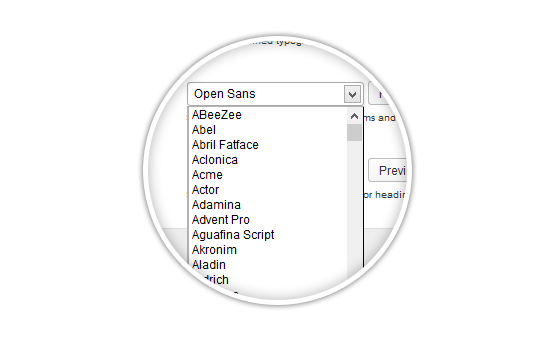 Future WordPress theme admin panel includes 16 premium widgets. A wide collection of useful widgets allow you to improve your website’s interaction with visitors, bringing its functionality to a new level. You can easily drag and drop them in pre defined sidebars or create custom sidebar and place in it. Future offers to define Unlimited Custom Sidebars. With the power of this features, you can define sidebars and later widgets can be assigned to these custom sidebars. This feature is helpful in creating posts and pages with different widgets. 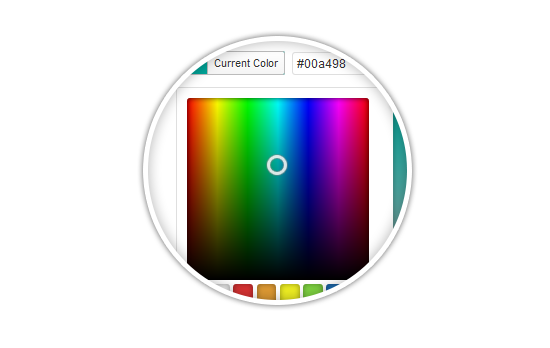 Apart from predefined color schemes, you can choose from unlimited color variations from theme options page. 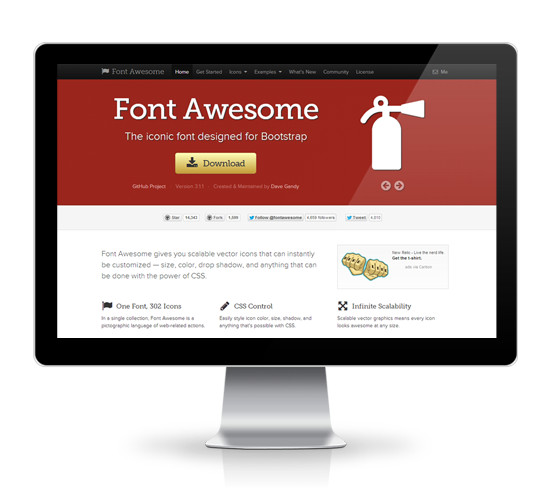 We have included Font Awesome font icons with Farad. Future theme includes language (POT) files – now you can browse them easier and faster. This theme is easily adjustable to other languages by using PoEdit which is available free. Featured Image Logic has been updated for Portfolio posts. Heading Support has been added in Callouts for SEO purposes. Footer widget display logic has been updated.